REGISTER TODAY! Registration for the Sailing School is open and we encourage families to register as soon as possible. The merchandise committee is again offering Sailing School Tech Shirts, all orders must be placed by May 15th. Please click here to register for sailing school and order your tech shirts at the same time! Please reach out to David Leary with any questions. 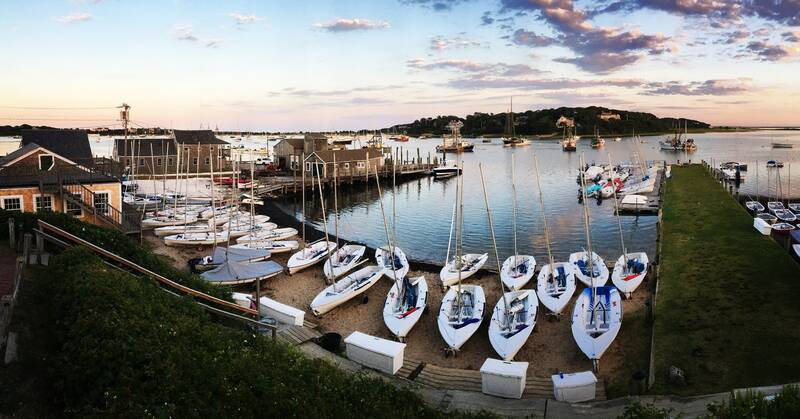 The Sailing School program will include a number of exciting changes: expanded adventure sail opportunities, a curricular review of all classes to ensure they are up to date and engaging, all morning shore school, STEM program, and a new Program Director. For more details, please check out the April Sailing School Newsletter! With summer just around the corner, Co-Chairs, Audrey Fenton and Victoria Quake have been hard at work to plan a spectacular Auction at the All Member Cocktail Party on July 1st. All proceeds support our Stage Harbor Sailing School. To make it a success, we need your support! Would you consider donating an item to the Auction? Anything with a SHYC Burgee! I am happy to report that we are less than 2 months away from opening our 2017 season at SHYC! The SHYC board and committees have made some great strides this off season; details to follow in each of their reports below. I am also happy to announce that our Sailing Center will be open for use this summer! Over the winter we added a new deck to the front of the building and installed new windows and siding to the exterior. This space will be a great asset to our facility for both social and sailing school activities. Moving forward you will also see additional thoughts and planning around our pier structure that abuts the past “Eldridge” pier. We have a long-range planning committee in place to help with the scope of work that is needed to this portion of our property. Look for more details to come as we approach the opening meeting. The Club has also upgraded our web presence at SHYC.com where you will find online registration; simplified landing page; online directory with expanded search options; the ability to view the site, register for programs and pay invoices from your smartphone or tablet; and additional information that we hope will answer many of your questions. Please join us as we continue to migrate all club information under the SHYC.com site and keep your eyes open for the print directory that will be arriving in mailboxes very soon. Sailing School registration is open and I encourage you to register today. You can do so by clicking here. 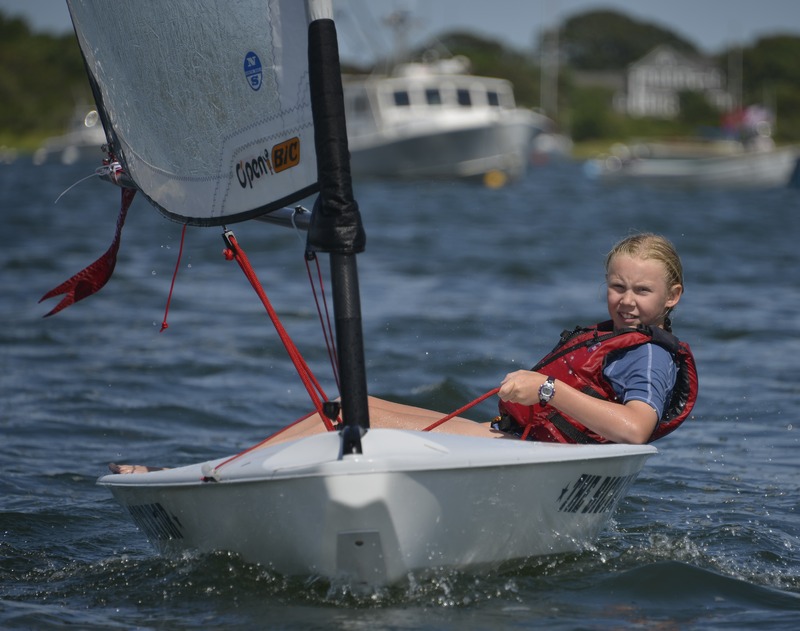 A great deal of thought has been put into planning this summer’s Sailing School program, with expanded Shore School, new adventure sail classes, incorporation of adventure sail components in all classes and increased focus on our STEM program. Four of our instructors will receive STEM training through an outstanding program offered by US Sailing that uses sailing-related concepts to engage science concepts. To support our adventure sail program, we will continue to use the Club’s BICs and we are excited to unveil this June some additions to the adventure sail fleet. Recognizing the importance of building friendships, the Club continues to offer lunch options so students can extend their time at the Club off the water. I encourage members to stop by and meet our new Program Director, Chris Beard. Chris has been preparing for the summer for a number of months now and we are excited to have him on board. Less than 60 days and counting until the first day of Sailing School – how exciting is that! In my many years associated with the Club I can remember few off-seasons where more people were engaged in planning for the summer ahead. Curriculum review, Sailing Center renovations, long term planning and a virtual rebuild of the Club’s website are just a sampling of the many projects in which board and member volunteers have been involved. Hats off to the many volunteers who have been working tirelessly to make 2017 yet another banner year! As I have mentioned in past newsletters, in my role as Vice Commodore, I am tasked with organizing all things social. While the Sailing School and Racing are core to our mission at SHYC, the board has recognized that in addition to these two key components, members also value opportunities at the club to socialize. We have heard this message and in addition to our traditional social events such as the All Member Cocktail Party and Luau, we have added a number of new events that we hope will have widespread appeal. 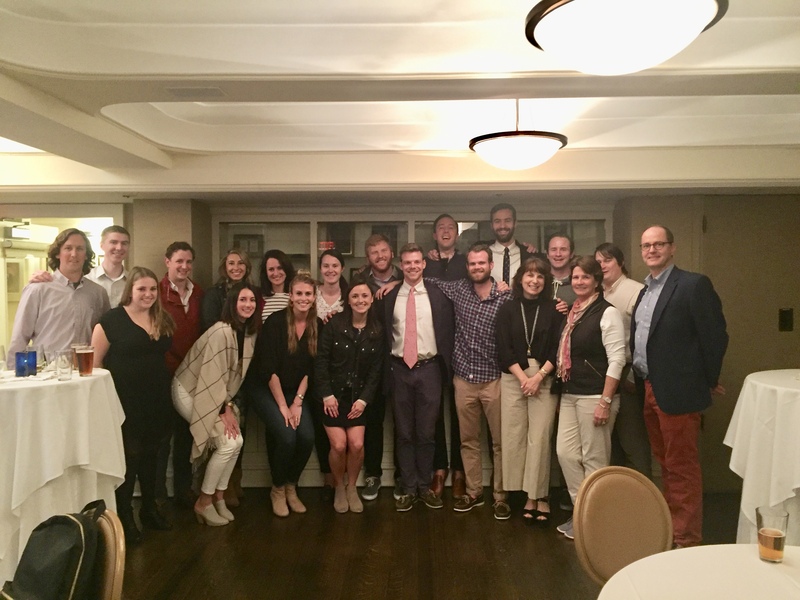 In fact we have already kicked off the season with a Junior Member event that took place just prior to the Boston Marathon at the University Club of Boston. Thanks to Thatcher Hoyt and Lucy Frye for helping to organize this fun cocktail party. Click here to see all that these social superstars have planned! The 2017 sailing season is almost upon us! Stage Harbor Sailing School would like to thank Victoria Quake and Maryann Smith for volunteering to be this year’s Opti fleet captains. We would also like to thank Armando Gonzalez for volunteering as the 420 fleet captain, Sonja Bartlett for again heading up the BIC fleet and Richard Batchelder for overseeing the Day Sailer fleet. This year’s sanctioned regattas have been posted on the 2017 Regatta webpage and are also listed in the 2017 directory. The Club has spent the off-season rejuvenating the DS fleet along with purchasing three new 420s. The motorboats have also undergone a good deal of maintenance and prop guards have been purchased for all the motorboats engines. The SHYC fleet was bolstered by three generous donations from members this off-season. The Club received two Day Sailers, one from Walter Raushenbush and the other from the Shakin family. We also received a motorboat from the Lacey family. The Yacht Club is very grateful for these wonderful donations and the continued support and generosity of our members. Reception to follow at Minot's house at 16 Grapevine Road in Wenham, MA. The family asks that in lieu of flowers, please consider donating to Sailing Heals; a fantastic organization that gets terminally ill patients and their caregivers out for a sail.